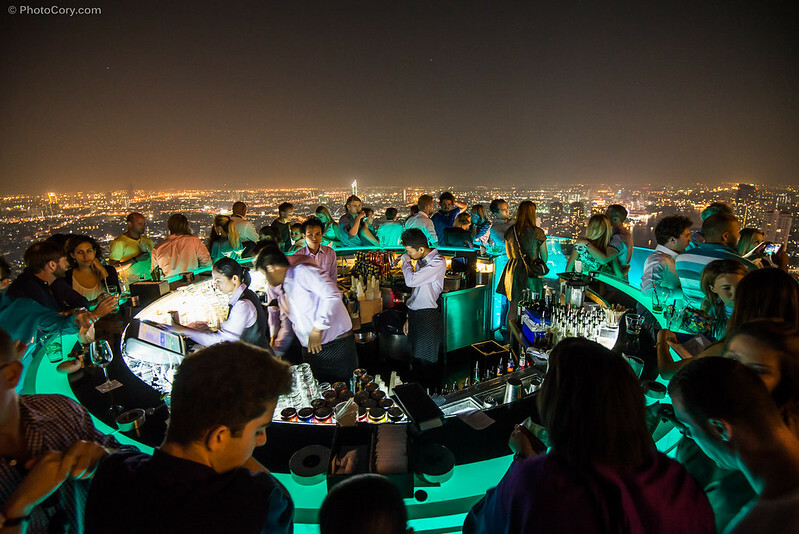 The Sirocco Sky Bar in Bangkok is the highest rooftop bar in the city, located at the 63rd floor of Lebua State Tower – the second tallest building in Thailand. 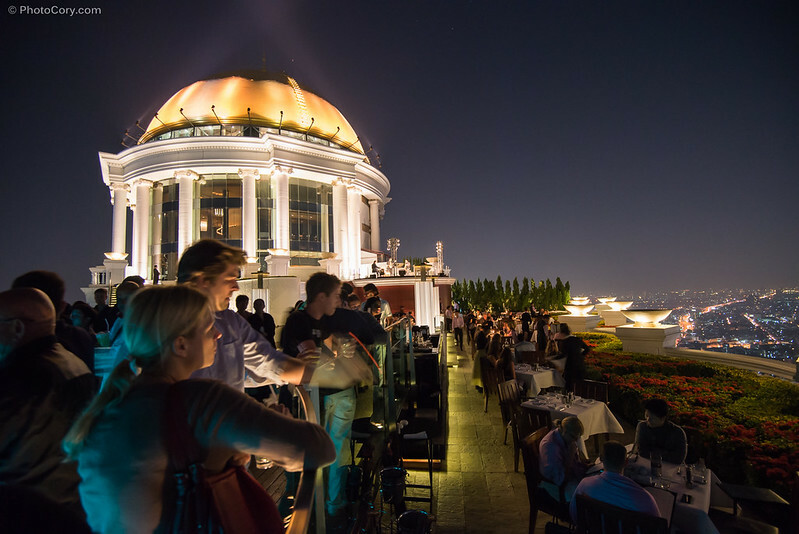 What makes Sirocco Sky Bar in Bangkok more special than any other rooftop bar is the fact that scenes from the movie “The Hangover 2” were filmed here. Apart from being the highest rooftop bar in Bangkok, Sirocco Sky Bar serves tasty, strong, but expensive cocktails. Enjoy your drink while admiring the panoramic view of Bangkok, Thailand’s vibrant and bright capital. It’s truly breathtaking! I recommend you try their ‘Long Island Ice Tea’ and the ‘Hangovertini‘ – the cocktail created for the staff of the movie “The Hangover 2” while they were shooting in Bangkok. The service at Sirocco Sky Bar in Bangkok is impeccable. The staff is guiding the guests from the ground floor, to the elevator until the bar at the roof. There is a dress code (men can’t wear shorts and sandals, but jeans and snickers can be accepted). 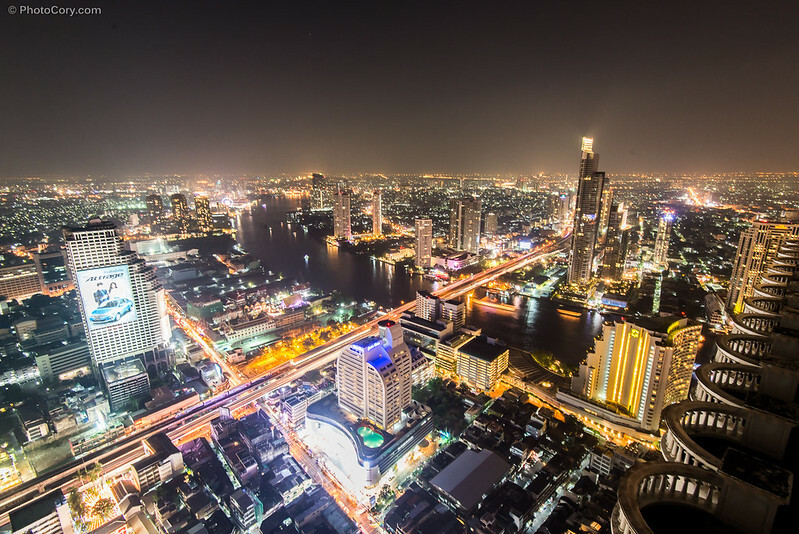 The view over Bangkok from the 63rd floor is breathtaking and made 20th of December 2013 an unforgettable, beautiful memory. 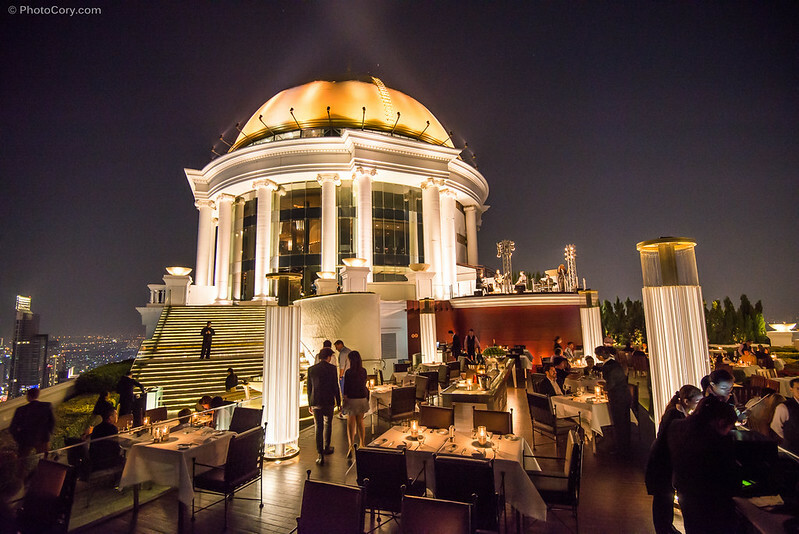 Sirocco Sky Bar in Bangkok – they serve very good, but expensive cocktails! Barul Sirocco, situat la etajul 63 pe cea mai inalta cladire din Bangkok. Printre multele si scumpele cocktailuri pe care le servesc aici, se numara si Hangovertini, special creat pentru echipa din filmul “Marea mahmureala 2”. I’ve been here, at Lebua Hotel and Sirocco sky bar, where “Hangover 2” was filmed. Bangkok is enchanting. I have been to this city twice. 🙂 Enjoy !!!!! 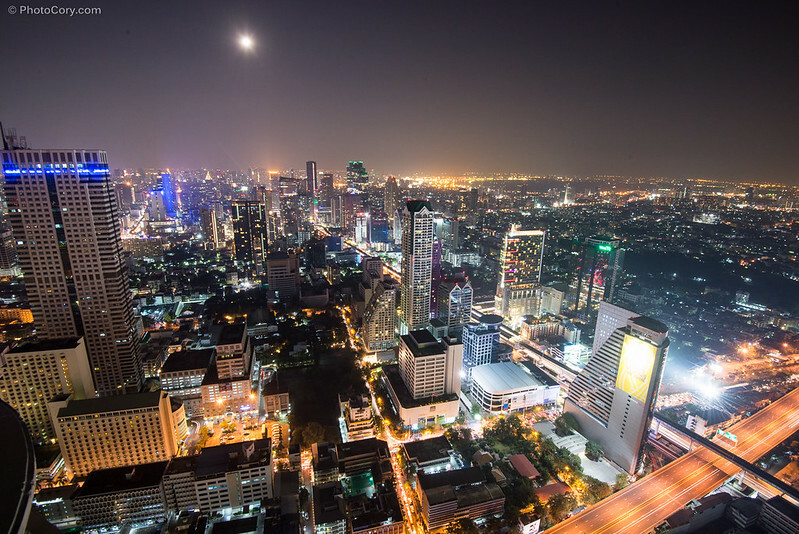 It was fascinating to be so high above Bangkok and the service there was unbelievably nice. Love Bangkok… wished we had more time to do more things when we were there. Thanks for sharing your photos! 🙂 it was a nice city. I stayed 5 days there and it was more than enough for me. How much time did you spend there? wow !! 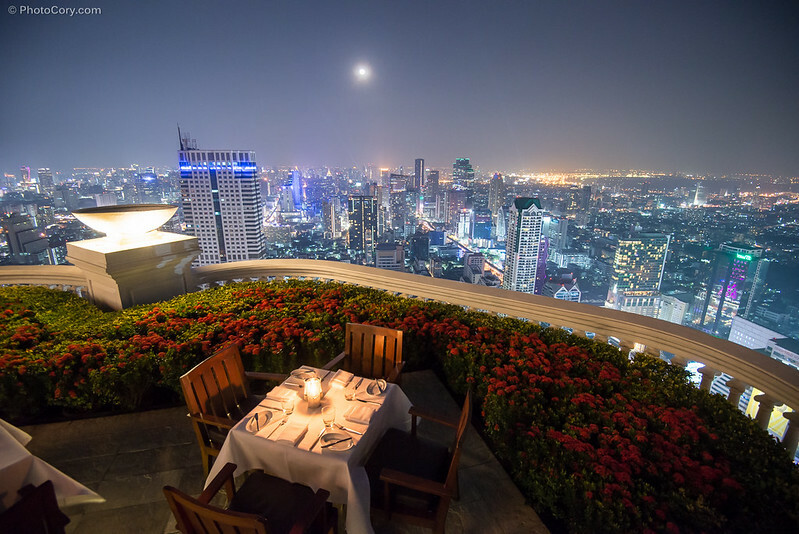 Lebua State Tower is awesome and restaurant in the sky is a wonderful location that i want to spend some time with my near and dear one.. And i would like also tell you that Peace begins with a smile and your smile is very cute.. Stunning photos. Thanks for sharing!